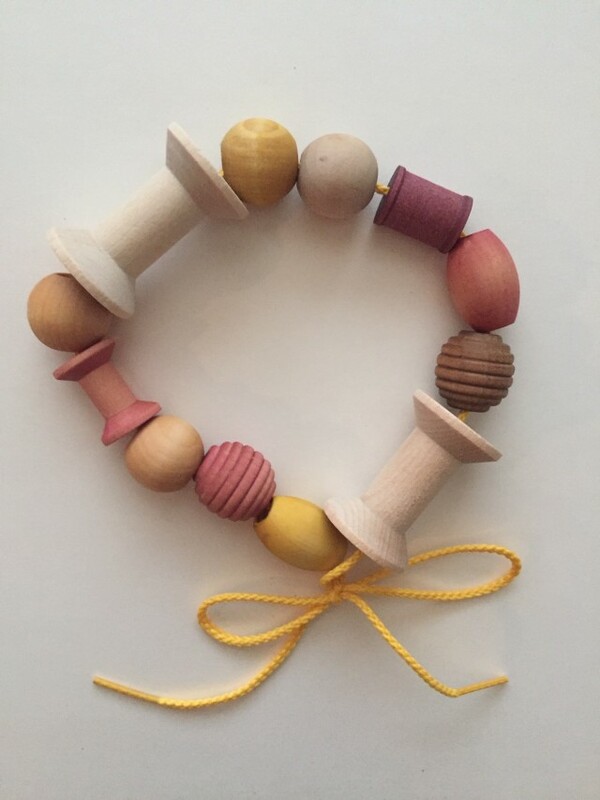 Lacing Beads promotes fine motor skills, good hand eye coordination, and cognitive development skills. 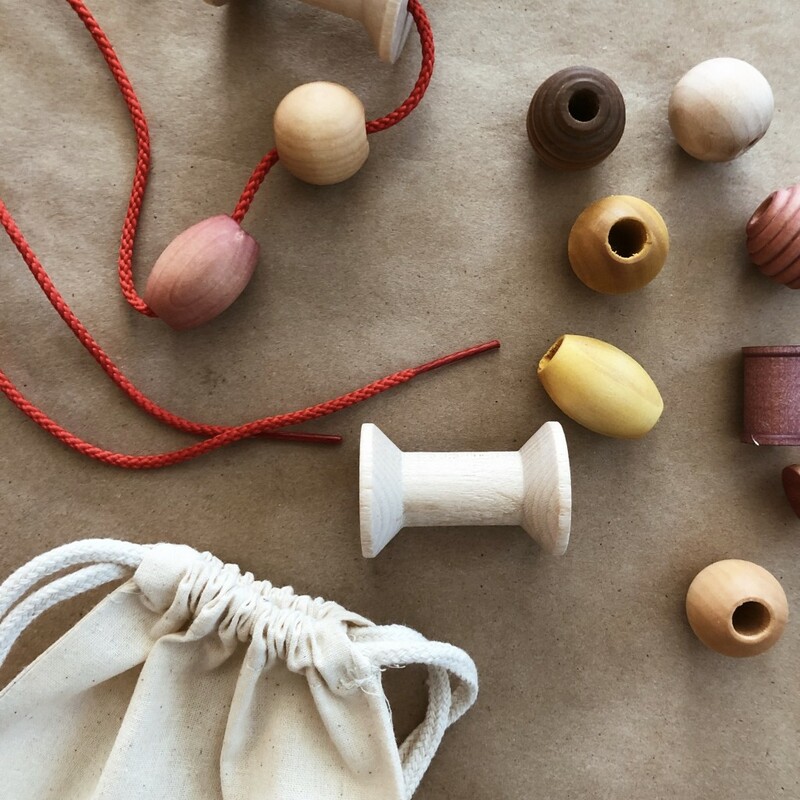 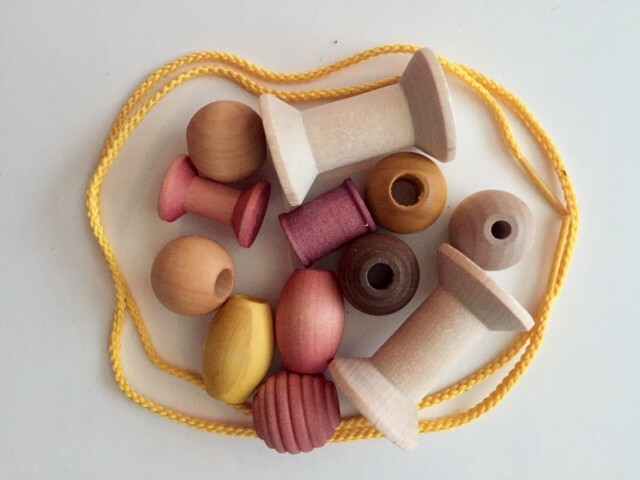 beads are all wooden and are 1- 2 inches for easy handling. color dye/stain made from fruits and vegetables such as red cabbage, tumeric, blueberries, onions and beets and treated with olive oil and beeswax. 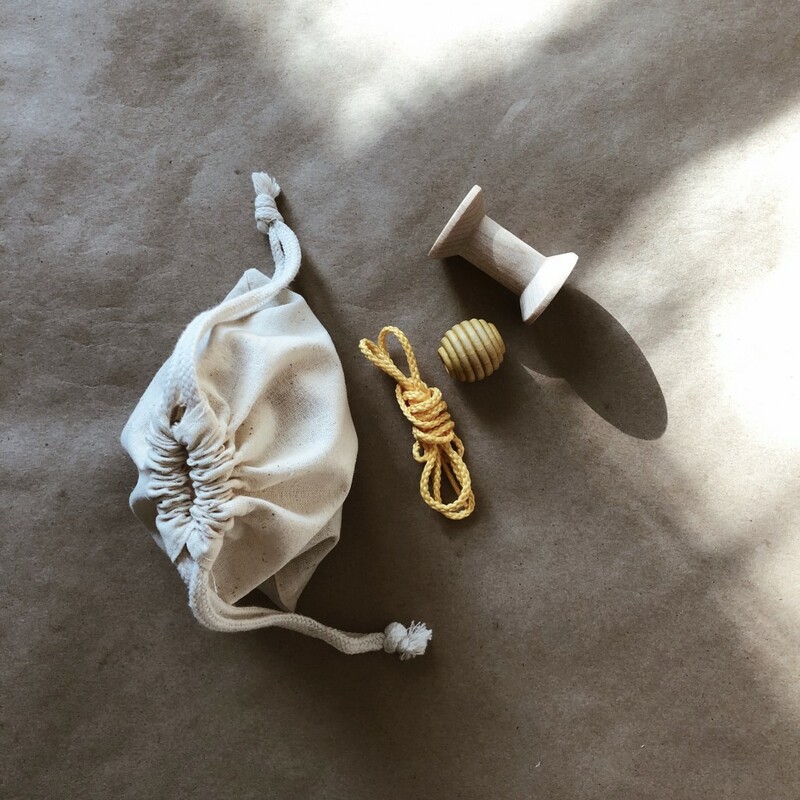 comes with a drawstring canvas bag for each on the go travel!